Are you looking for a beautiful landscape in the vape market? Do you want your vape to attract attention? 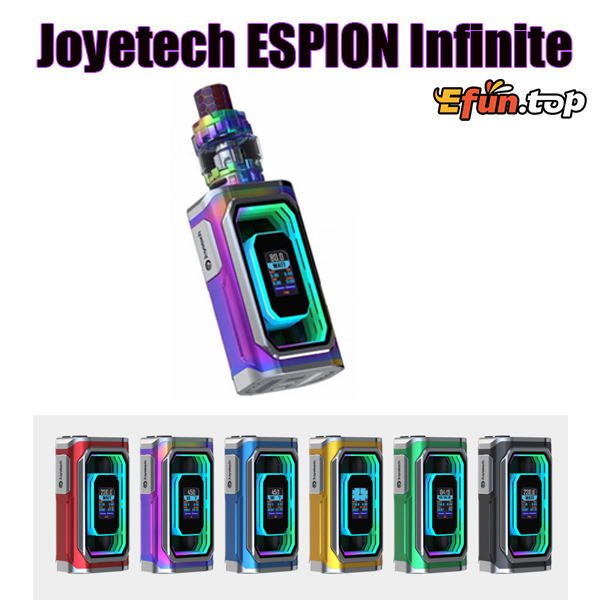 The Joyetech ESPION Infinite TC Kit has a supercool exterior appearance with centered 510 connector. It furnished with a 0.96-inch color TFT display and user-friendly UI which presents the relevant info more clearly. Powered by dual 21700 cells, the ESPION Infinite supports max 230W output and 2A quick charging. The ESPION Infinite is also compatible with 18650 cells with an included adapter. And its various working modes will satisfy your different vaping needs too.